Ann Nguyen is the owner of a Goosehead Insurance agency in Katy, TX and is licensed to provide service throughout the entire state. Ann and her agency will thoroughly assess your current protection to see if your coverage is the correct fit for your family when shopping for the right policies in your budget. This will be an enjoyable process as she offers auto, home, life, retirement, and commercial insurance for every unique situation with over 30 A-rated companies in the market. 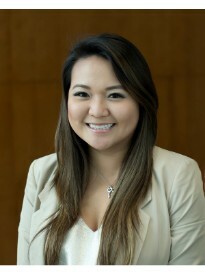 Prior to joining the Goosehead family, Ann started in the insurance industry with Liberty Mutual after graduating from The University of Houston with a B.B.A in Marketing. She grew very fond of protecting families and their assets and wanted to be able to offer the power of choice to her clients while providing top quality service. Ann enjoys being a part of the community in west Houston where she resides with her husband and shih tzu, Skylar. Give Ann a call today to see how she can protect your family and save you money!